Picture this: You show up for work only to learn a key employee has submitted a letter of resignation. In your shock, you approach the employee. Then, the employee mentions getting a better offer from your biggest competitor. “My employee knows all my secrets,” you fret. What should you do? Unfortunately, your human and information capital are at-risk all the time. That’s especially the reality if you’re in technology or other high-growth sectors. It’s difficult to prevent poaching of your employees. You can consider asking employees to sign non-compete agreements. You can also consider non-disclosure agreements. But in many states, non-compete agreements aren’t upheld by the courts. Not to mention you risk the high cost of litigation. Furthermore, a policy of asking employees to sign non-competes can be a hindrance to your recruitment efforts. Many employees are opposed to the idea. But if you’ve checked with your legal counsel and non-competes are lawful in your state, then they might be effective for you. If you decide to enact a non-compete policy, get expert advice before you proceed. Make certain to include your non-compete policy in you employee handbook. Insert in the career section of your Web site as a deterrent seen by your competitors. Businesses have two communication sources that are expenses that conversely are sources of profit – the external marketplace – and internal, their human capital. To enhance your internal communication, devote equal resources to employee programs and communication. Incidentally there’s still a wide gap between what managers and workers think about trust. You can improve trust if you drive engagement with your employees. Use all best-practices in employee retention (scroll down to the Coach’s Corner for links to six articles on key management and retention strategies). Otherwise, the reality is that most employees aren’t loyal long term. Your fears about employees leaving for your competitors are valid. You can lose your competitive edge if word gets to your competitors about your business processes and strategies. The loss of information capital can be devastating. Sooner or later, relationships can end. Don’t assume employees will stay forever. The key is to take steps to prevent them from leaving with your valuable information. General skills and techniques learned by employees over time are not protected. On the other hand, if such skills give you a competitive advantage and aren’t universal knowledge, they might be considered trade secrets. Trade secrets are unique processes and disclosure of them might be illegal. Trade secrets might even be a client’s favorite fixation. But you need expert legal counsel in your region to advise you if you have a case. Tell your prospective employees not to share secrets from their employers with your company. Design a pre-employment interview agreement that stipulates applicants cannot share information from their previous employment. This is to protect you from being sued. It also promotes a culture of respect. If any of your employees should want to leave, they’ll remember your statesmanlike policies and will be less inclined to share your secrets. Make sure your employees, especially knowledge workers, are appreciated and well-compensated. Remember non-financial incentives, including recognition programs, work very well in retaining employees. Non-disclosure agreements vis-à-vis non-compete agreements should be given to new employees to read and sign before they start working. They’ll be less inclined to share your information. Your competitors will be unlikely to encourage their new workers to disclose sensitive information from previous employers. Non-compete agreements are often disallowed by the courts and are expensive to enforce. When used effectively, non-compete agreements prevent employees from working for a competitor, competing for a duration of months or years, or from working in a certain region. Non-disclosure agreements permit former employees to work for a competitor as long as they don’t disclose trade secrets. BYOD, or bring your own device, the Cloud, and file-sharing can create havoc. 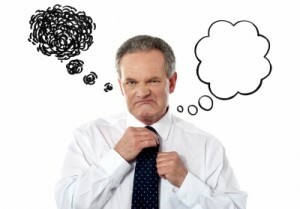 You need to explain to employees to be mindful of the business risks from their behavior. Preventing such problems usually entails training. If you suspect employees of disclosing trade secrets, be vigilant and proactive. Know what trade secrets are known to your employees and whether they have accessed unauthorized information. Watch for any extra copying, downloading, e-mailing or deletion of information. Assuming your company policy and the law allow it, copy and examine your employees’ hard drive. Analyze the persons’ e-mails, files and phone records to learn if information has been disingenuously shared and who received the information. If it has been disclosed, consult your attorney and approach the employees. Your initial objective should be to get the information back and permanently prevent it from happening again. Then, you should deal with the individuals. Don’t forget about exit interviews. During the meeting, learn about the employee’s intentions. Reiterate your concerns about trade secrets to protect your company. If you learn others might leave, get your attorney involved. You’ll want to explore all relevant facts and take appropriate action. Human Resources — Red Flags You’re Losing an Employee — In employee retention, you never have to be surprised again. There are common traits among employees who are likely to quit — even those who are secretive about their plans. Surprisingly, workers who are reading job listings in non-work hours, leave work promptly at the end of the work day or who start taking more vacations — aren’t necessarily going to quit. Non-financial Incentives Motivate Most Employees – Study — Want motivated workers? Recognition for good work is appreciated by 70 percent of workers – a great motivator for high performance, according to a study by two companies.